State-financed Norwegian Broadcasting (NRK) couldn’t bid high enough to secure the Nordic broadcasting rights to large portions of World Cup and World Championship winter sports competition from 2021. NRK has thus lost the rights to air around 40 percent of Norway’s skiing star’s performances, after commercial interests prevailed over national public broadcasting. NRK couldn’t bid high enough, however, to beat out Nordic Entertainment Group (NENT), which owns Viasat among other media interests. NENT secured the rights to cover both alpine- and cross-country skiing along with ski jumping and combined competition from the winter of 2021-2022 and five years beyond that. That means several of Norway’s national sports will disappear from NRK’s public broadcasting channels two years from now, and that’s a shocking development for Norwegian winter sports fans. 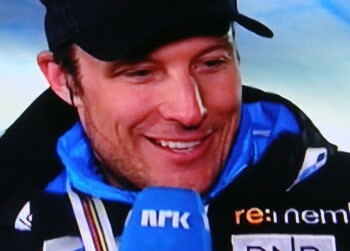 Sundvor noted how NRK has developed extensive coverage of winter sports for the past 50 years. Norwegian sports fans, meanwhile, have come to expect extensive, highly professional coverage of their winter sports stars, free of commercials. NRK’s loss is a huge loss for viewers who pay a mandatory state licensing fee to see international competition coverage. Sundvor claimed NRK’s sports journalists will continue to report on winter sports from a journalistic perspective, “and we will still offer good winter weekends until 2022,” he said. After that, sports fans will have to switch to NENT’s commercial or subscription channels. The biggest losers may be the branches of winter sports that draw the fewest viewers, since they’re likely to get much less coverage from the commercial players and thus lose exposure. NRK reported that the rights package it lost includes around 200 races. World Cup events held in Norway, Austria and Switzerland can, however, still be aired on NRK. NRK also retains rights, at least for now, to biathlon competition and speed skating since they aren’t covered by the international ski federation FIS. NRK currently holds biathlon rights until 2022, when they also must be renegotiated. Sundvor said it’s becoming more and more difficult for state public broadcasters to compete against major commercial players. “We’ve already seen that with football rights, but now we’ve seen a whole new standard of price-setting for winter sports,” he told NRK News. “NRK stretched itself as far as possible, but the price level was completely extreme.” Swedish state broadcaster SVT and YLE of Finland also lost their bidding rounds. “This is a very sad day for us,” said Line Andersen, one of NRK’s veteran sportscasters. Former Norwegian alpine skiing star Kjetil André Aamodt, who recently has been one of NRK’s many expert commentators, shared Andersen’s disappointment. 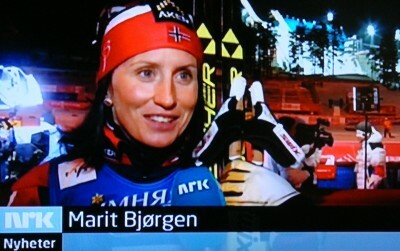 “I think this is sad both for NRK and winter sports in Norway,” Aamodt told NRK, adding that skiers and ski jumpers both want and need to be exposed on the state broadcaster in order to get lengthy and extensive coverage and a big audience. Andersen said she thinks the next two years on NRK can be “the best ever” as the state broadcster mounts a “last hurra” of sorts, before looking for other sports to cover. Anders Jensen, president of NENT Group, described its new winter sports deal as a new milestone for the company. He likened it, in a press release Thursday morning, to winning the rights to the ice hockey world championships in 1989 and the Olympics in 2011. He claimed winter sports fans can look forward to more than 500 hours of winter sports every season on NENT’s channels and streaming platforms.